The best (and worst) Twitter meltdowns over Donald Trump's inauguration. Well, this is it. Friday brings the inauguration of the new president of the United(ish) States of America, Donald Trump. There's not much good to say about it, other than I guess thank God we didn't end up with a president who used an unsecured server for her email. Could you even imagine? The horror! At least people on Twitter are still allowed to be funny. FOR NOW, anyway. 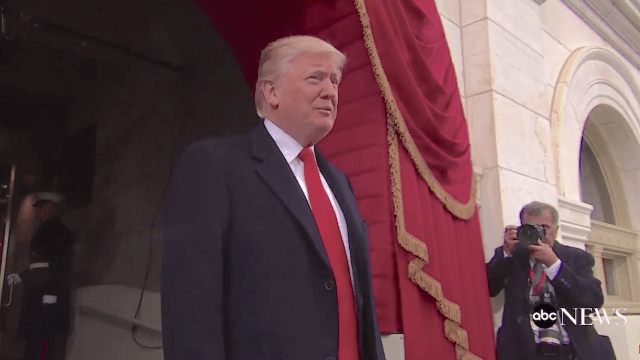 Here are the best Twitter reactions to Donald Trump's inauguration. TRUMP: We stand at the birth of a new millennium. Trump is fidgeting like a small child bored in church. Hopefully Pence remembered the Ziploc of Cheerios! Willing to bet that half the "people" at the inauguration are actually scarecrows planted to make the crowd look full. Worst episode of Black Mirror ever. Of course I'm watching the inauguration. We won't get to see another one for weeks. Nancy Pelosi hasn’t been this reluctant to attend a presidential inauguration since 1800. Can we give Obama a second Nobel Peace Prize for getting through Trump's inauguration with dignity? in my inauguration bag: an external phone battery, tissues, lip balm, anxiety medication. Let's do this. Today's inauguration is like replacing Superman with Lex Luthor. They just showed one Asian cheering at the inauguration and now I am ashamed for all 3 billion of us. Trump's inauguration gets smaller & smaller until it's just the dinner scene from Django where DiCaprio keeps wildly swinging a hammer.